Chatpati Karari Alu ki Chaat…simple ingredients that translate into big bold flavors and simple delicious food! 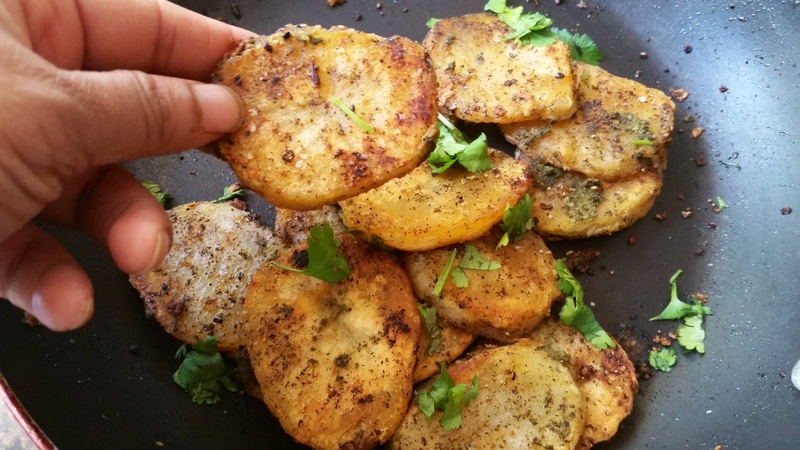 Make it as a healthy pick-me-up snack to accompany your evening tea, or a quick n easy appetizer for unexpected company. 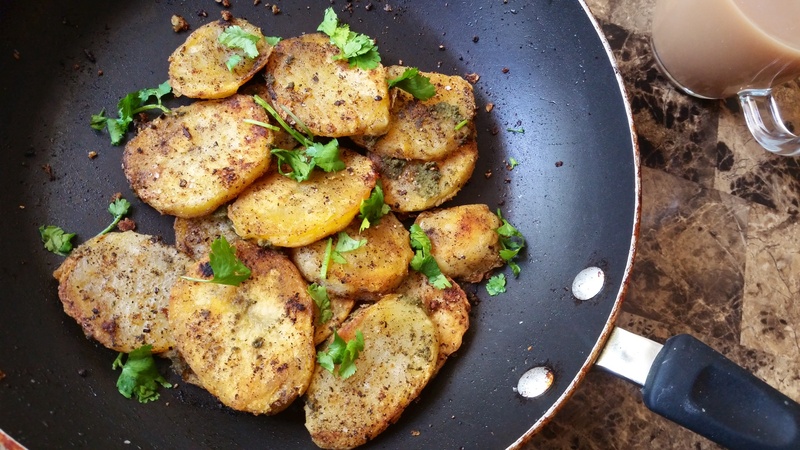 It’s even a great Vrat recipe, extremely satisfying and filling. Boil 2 large potatoes. Cool, peel, slice into 1/4 inch round pieces. Heat pan with a mix of oil + ghee (about a tsp each). 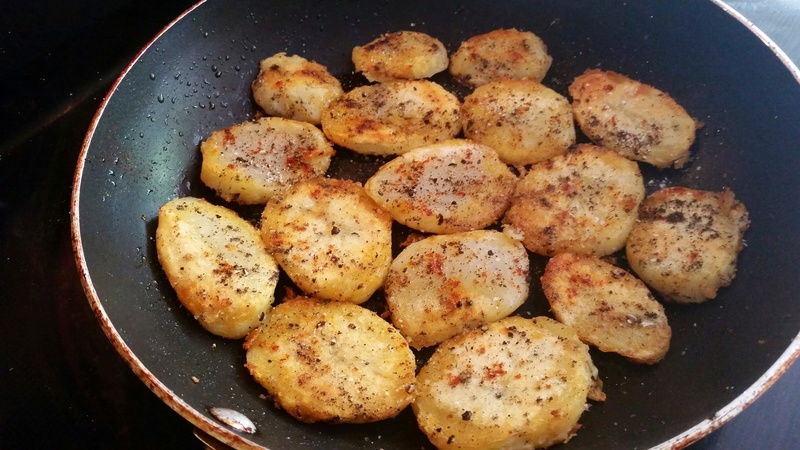 Arrange potato slices in a single layer. 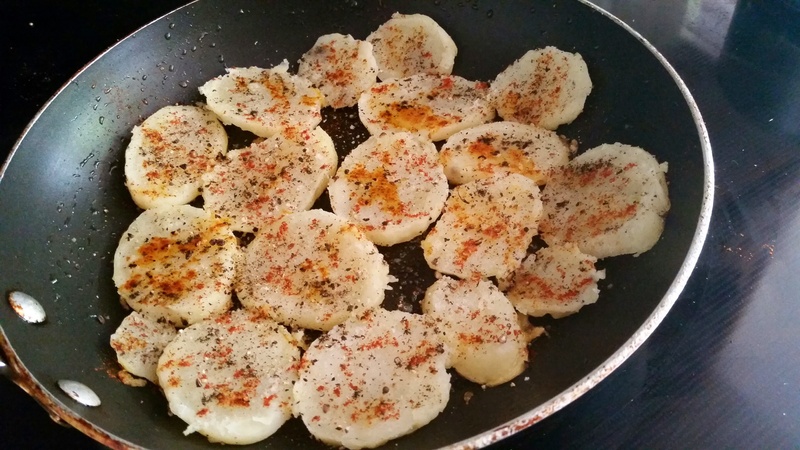 Reduce heat to medium, sprinkle slices liberally with salt, red chili pwdr, coarsely cracked black pepper, Chatmasala/amchoor. Allow to cook, till they brown nicely from the bottom. Flip each piece, sprinkle again with salt n spices. Cook the other side to a golden brown too. 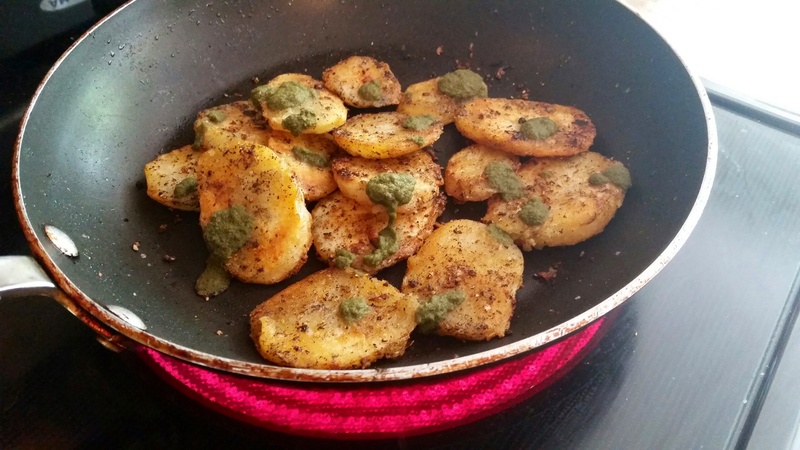 Increase heat to high…Drizzle a little hari chutney/lemon juice on top. 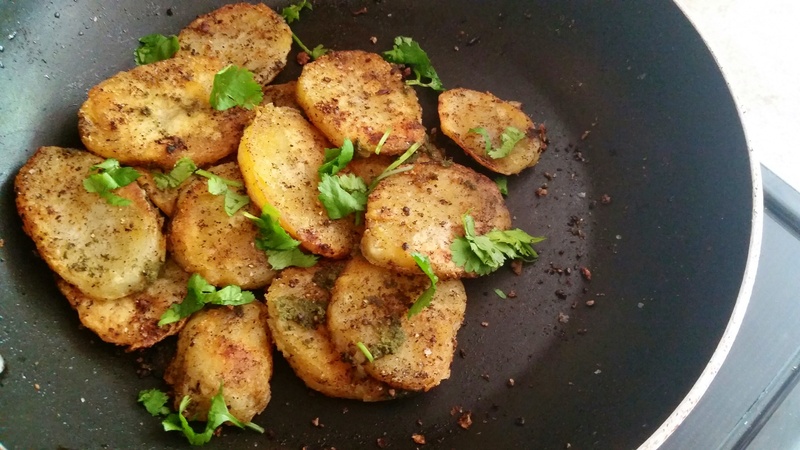 Continue to cook on high till crisp…sprinkle with freshly chopped dhania..serve steaming hot, yum yum!! 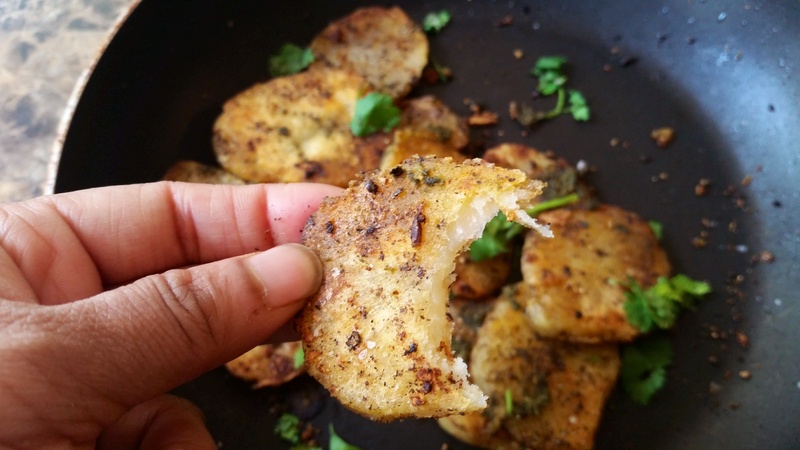 PS: if you can find kala chatmasla for this recipe, it takes it to a whole new level! I buy mine from the Indian super market, Roopak brand.